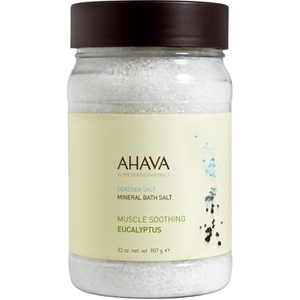 These skin-energizing Dead Sea salt crystals are 100% natural and packed with healthy minerals. When emerged into the bath, muscles and joints are relaxed and skin feels soft, smooth and refreshingly hydrated. The power of Lavender works to soothe the senses and promote well-being while helping muscles relax. 100% Dead Sea salt, Fragrance. I I bought this because I have actually swum in the Dead Sea and my skin felt amazing like never before. Unfortunately this product does not give the same softening effect. The price is the avg and so the quality.